The Best St. Patrick’s Day DC Events are coming! Which St. Patrick’s Day DC Event are you looking forward to? St. Patrick’s Day— the time of year when lads and lasses deck themselves in green and dance Irish jigs in the street while toasting to the luck of the Irish. St. Patrick’s Day this year falls on Sunday, March 17th, which means a month full of carousing and cheers-ing. 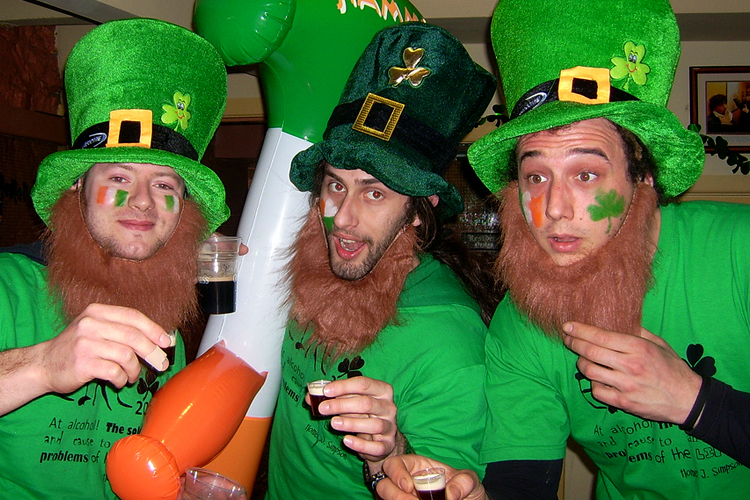 If you are asking yourself, which St. Patrick’s Day DC event to hit up, we have you covered! The DMV will be hopping with Irish cheer all throughout March. From bar parties, to DC bar crawls, to festivals, there’s a little something for everyone. The month of March kicks off with the Leprechaun Lap on March 2, 2013. This annual St. Patrick’s Day DC bar crawl will start off at Mackey’s Public House and continue through Dupont Circle. As excited as you might be to put on your St. Paddy’s day costume early, it may be worth waiting a week for the 3rd Annual Green Beer Day at Public Bar instead. The 3rd Annual Green Beer Day DC takes place on Saturday, March 9th at Dupont’s Public Bar. There’s no need to hop from bar to bar in DC when everything is housed under one roof. Three floors and a rooftop, live bands, DJs, food & drink specials, and most importantly, green beer kegs! Oh, and did I mention green Red Bull Vodka specials?! The only way to get access to this exclusive party is to buy your $10 tickets at www.greenbeerdaydc.com. Saturday, March 9th isn’t just about DC, but Arlington is making a St. Paddy’s day comeback. Ever since the Shamrock Fest left Arlington years ago, the Arlingtonians have been itching for something big. Arlington, prepare yourself for The Shamrock Crawl 2013, taking place on Saturday, March 9th from 1pm-9pm. This Arlington bar crawl will include amazing drink specials, raffle prizes, party favors, Arlington’s most popular bars, exclusive souvenir mugs, and party beads! Sip on $2 Yuenglings and Yuengling Lights, $3 rail drinks, $4 Shamrock shots, and $5 Irish Car Bombs all throughout the day. A limited amount of tickets are still on sale at www.theshamrockcrawl.com, so get moving! The Saint Patrick day month ends with The National ShamrockFest in DC (a St. Patrick’s Day street festival at RFK Stadium) and The Washington DC St. Patrick’s Day Parade along Constitution Avenue in DC. The Nation’s St. Patrick’s Day Parade will include floats, marching bands, pipe bands, military, police, and fire departments. But be weary you crazy Irish-loving drinkers, this is a family event, so keep your revelry to a minimum. If you want to be inappropriate and sport your craziest leprechaun jumpsuit, make sure you are at Arlington’s The Shamrock Crawl on March 9th. 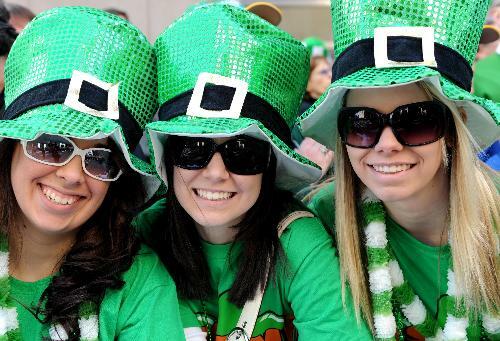 So whether you are Irish by birth, or just Irish by attitude, join thousands of lucky leprechauns and spread some Shamrock spirit at any of these St. Patrick’s Day DC events. It’s time to toast to the luckiest month of the year!